Retina hastalıklarının tedavisinde kök hücrelerin kullanımı oftalmolojide yeni ve popüler bir konudur. Embriyonik ve kemik iliği kaynaklı kök hücreler tedavi için kullanılabilir. Yaşla bağlı maküla dejenerasyonu, Stargardt'ın maküla distrofisi ve retinitis pigmentosa, progresif görme kaybına neden olan yaygın görülen retina hastalıklarıdır. Bu nedenle araştırmalar kök hücre tedavisinin etkinliğini değerlendirmek için herhangi bir küratif tedavi modalitesine sahip olmayan bu hastalıklara odaklanmaktadır. Bu yayında göz hastalıklarında kök hücre tedavisi ile ilgili faz 1/2 klinik çalışmaların sonuçlarını incelemeyi amaçladık. Kök hücre terapileri, retinal hastalıkların tedavisinde yükselen bir trenddir ve tedavinin standardizasyonu, sonuçlar hakkında uzun vadeli veriler elde etmek ve komplikasyonlara ilişkin daha ileri klinik çalışmalara ihtiyaç vardır. Use of stem cells in the treatment of retinal diseases is a new and popular topic in ophthalmology. Embryonic and bone marrow derived stem cells can be used for treatment. Age-related macular degeneration, Stargardt’s macular dystrophy and retinitis pigmentosa are common encountered retinal diseases causing progressive vision loss. The researches therefore mostly focus on these diseases which have no curative treatment modality in order to evaluate the efficacy of stem cell therapy. In this review, we aimed to present the results of the phase 1/2 clinical studies about stem cell treatments in eye diseases. Stem cell therapies are the rising trends in treatment of retinal diseases. Further clinical studies are required for standardization of the therapy and obtaining long-term data about the results and complications. 1. Alonso-Alonso, M.L. & Srivastava, G.K. 2015. Current focus of stem cell application in retinal repair. World Journal of Stem Cells, 7(3): 641-648. 2. Chung, Y., Klimanskaya, I., Becker, S., Li, T., Maserati, M., Lu, S.J., Zdravkovic, T., Ilic, D., Genbacev, O., Fisher, S., Krtolica, A. & Lanza, R. 2008. Human embryonic stem cell lines generated without embryo destruction. Cell Stem Cell, 2: 113-117. 3. Cotrim, C.C., Toscano, L., Messias, A., Jorge, A. & Siqueira, R.C. 2017. Intravitreal use of bone marrow mononuclear fraction containing CD34+ stem cells in patients with atrophic age-related macular degeneration. Clinical Ophthalmology, 11: 931-938. 4. Fujinami, K., Lois, N., Davidson, A.E., Mackay, D.S., Hogg, C.R., Stone, E.M., Tsunoda, K., Tsubota, K., Bunce, C., Robson, A.G., Moore, A.T., Webster, A.R., Holder, G.E. & Michaelides, M. 2013. A longitudinal study of stargardt disease: clinical and electrophysiologic assessment, progression, and genotype correlations. American Journal of Ophthalmology, 155: 1075-1088. 5. 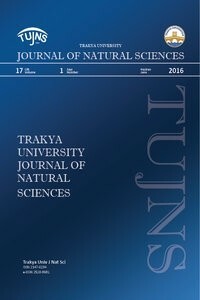 Fujinami, K., Zernant, J., Chana, R.K., Wright, G.A., Tsunoda, K., Ozawa, Y., Tsubota, K., Robson, A.G., Holder, G.E., Allikmets, R., Michaelides, M. & Moore, A.T. 2015. Clinical and molecular characteristics of childhood-onset Stargardt disease. Ophthalmology, 122: 326-334. 6. Hims, M.M., Diager, S.P. & Inglehearn, C.F. 2003. Retinitis pigmentosa: genes, proteins and prospects. Developments in Ophthalmology, 37: 109-25. 7. Jones, M.K., Lu, B., Girman, S. & Wang, S. 2017. Cell-based therapeutic strategies for replacement and preservation in retinal degenerative diseases. Progress in Retinal and Eye Research, 58: 1-27. 8. Kumar, A., Midha, N., Mohanty, S., Chohan, A., Seth, T., Gogia, V. & Gupta, S. 2017. Evaluating role of bone marrow-derived stem cells in dry age-related macular degeneration using multifocal electroretinogram and fundus autofluorescence imaging. International Journal of Ophthalmology, 10(10): 1552-1558. 9. Kuriyan, A.E., Albini, T.A., Townsend, J.H., Townsend, J.H., Rodriguez, M., Pandya, H.K., Leonard, R.E., Parrott, M.B., Rosenfeld, P.J., Flynn, Jr., H.W. & Goldberg, J.L. 2017. Vision Loss after Intravitreal Injection of Autologous "Stem Cells" for AMD. The New England Journal of Medicine, 376:1047-53. 10. Lamba, D.A, Karl, M.O. & Reh, T.A. 2009. Strategies for retinal repair: cell replacement and regeneration. Progress in Brain Research, 175: 23-31. 11. Limoli, P.G., Limoli, C., Vingolo, E.M., Scalinci, S.Z. & Nebbioso, M. 2016. Cell surgery and growth factors in dry age-related macular degeneration: visual prognosis and morphological study. Oncotarget, 7: 46913-46923. 12. Limoli, P.G., Vingolo, E.M., Morales, M.U., Nebbioso, M. & Limoli, C. 2014. Preliminary study on electrophysiological changes after cellular autograft in age-related macular degeneration. Medicine (Baltimore), 93: e355. 13. Mandai, M., Watanabe, A., Kurimoto, Y. & Takahashi, M. 2017. Autologous Induced Stem-Cell-Derived Retinal Cells for Macular Degeneration. The New England Journal of Medicine, 376: 1038-1046. 14. Oner, A., Gonen, Z.B., Sevim, D.G., Sinim, N. & Unlu, M. 2018. Suprachoroidal adipose tissue derived mesenchymal stem cell implantation in patients with dry type age-related macular degeneration and Stargardt's macular dystrophy: 6 month follow-up results of a phase 2 study. Cellular Reprogramming, 20: 329-336. 15. Oner, A., Gonen, Z.B., Sinim, N., Cetin, M. & Ozkul, Y. 2016. Subretinal adipose tissue-derived mesenchymal stem cell implantation in advanced stage retinitis pigmentosa: a phase I clinical safety study. Stem Cell Research & Therapy, 7: 178. 16. Öner, A. 2018. Stem Cell Treatment in Retinal Diseases: Recent Developments. Turkish Journal of Ophthalmology, 48(1): 33-38. 17. Park, S.S., Bauer, G., Abedi, M., Pontow, S., Panorgias, A., Jonnal, R., Zawadzki, R.J., Werner, J.S. & Nolta, J. 2015. Intravitreal autologous bone marrow CD34+ cell therapy for ischemic and degenerative retinal disorders: preliminary phase 1 clinical trial findings. Investigative ophthalmology & Visual Science, 56: 81-89. 18. Ramsden, C.M., Powner, M.B., Carr, A.J., Smart, M.J., da Cruz, L. & Coffey, P.J. 2013. Stem cells in retinal regeneration: past, present and future. Development, 140: 2576-2585. 19. Rivolta, C., Sharon, D., DeAngelis, M.M. & Dryja, T.P. 2002. Retinitis pigmentosa and allied diseases: numerous diseases, genes, and inheritance patterns. Human Molecular Genetics, 11: 1219-1227. 20. Satarian, L., Nourinia, R., Safi, S., Kanavi, M.R., Jarughi, N., Daftarian, N., Arab, L., Aghdami, N., Ahmadieh, H. & Baharvand, H. 2017. Intravitreal Injection of Bone Marrow Mesenchymal Stem Cells in Patients with Advanced Retinitis Pigmentosa; a Safety Study. Journal of Ophthalmic & Vision Research, 12: 58-64. 21. Schwartz, S.D., Hubschman, J.P., Heilwell, G., Franco-Cardenas, V., Pan, C.K., Ostrick, R.M., Mickunas, E., Gay, R., Klimanskaya, I. & Lanza, R. Embryonic stem cell trials for macular degeneration: a preliminary report. Lancet, 379: 713-720. 22. Schwartz, S.D., Regillo, C.D., Lam, B.L., Eliott, D., Rosenfeld, P.J., Gregori, N.Z., Hubschman, J.P., Davis, J.L., Heilwell, G., Spirn, M., Maguire, J., Gay, R., Bateman, J., Ostrick, R.M., Morris, D., Vincent, M., Anglade, E., Del Priore, L.V. & Lanza, R. 2015. Human embryonic stem cell-derived retinal pigment epithelium in patients with age-related macular degeneration and Stargardt's macular dystrophy: follow-up of two open-label phase 1/2 studies. Lancet, 385: 509-516. 23. Seo, J.H., Yu, H.G. & Lee, B.J. 2009. Assessment of functional vision score and vision-specific quality of life in individuals with retinitis pigmentosa. Korean Journal of Ophthalmology, 23: 164-168. 24. Siqueira, R.C. 2011. Stem cell therapy for retinal diseases: update. Stem Cell Research & Therapy, 2: 50. 25. Siqueira, R.C., Messias, A., Messias, K., Arcieri, R.S., Ruiz, M.A., Souza, N.F., Martins, L.C. & Jorge R. 2015. Quality of life in patients with retinitis pigmentosa submitted to intravitreal use of bone marrow-derived stem cells (Reticell -clinical trial). Stem Cell Research & Therapy, 6(1): 29. 26. Siqueira, R.C., Voltarelli, J.C., Messias, A.M. & Jorge, R. 2010. Possible mechanisms of retinal function recovery with the use of cell therapy with bone marrow-derived stem cells. Arquivos Brasileiros de Oftalmologia, 73: 474-479. 27. Song, W.K., Park, K.M., Kim, H.J., Lee, J.H., Choi, J., Chong, S.Y., Shim, S.H., Del Priore, L.V. & Lanza, R.. 2015. Treatment of macular degeneration using embryonic stem cell-derived retinal pigment epithelium: preliminary results in Asian patients. Stem Cell Reports, 4: 860-872. 28. Strauss, O. 2005. The retinal pigment epithelium in visual function. Physiological Reviews, 85: 845-881. 29. Tang, Z., Zhang, Y., Wang, Y., Zhang, D., Shen, B., Luo, M., Sun, H. & Gu, P. 2017. Progress of stem progenitor cell-based therapy for retinal degeneration. Journal of Translational Medicine, 15(1): 99. 30. Tucker, B.A., Mullins, R.F. & Stone, EM. 2014. Stem cells for investigation and treatment of inherited retinal disease. Human Molecular Genetics, 23: 9-16. 31. Weiss, J.N. & Levy, S. 2018. Stem Cell Ophthalmology Treatment Study: bone marrow derived stem cells in the treatment of Retinitis Pigmentosa. Stem Cell Investigation, 5: 18. 32. Weiss, J.N., Levy, S. & Benes, S.C. 2017. Stem Cell Ophthalmology Treatment Study: bone marrow derived stem cells in the treatment of non-arteritic ischemic optic neuropathy (NAION). Stem Cell Investigation, 4: 94. 33. Weiss, J.N., Levy, S. & Benes, S.C. 2015. Stem Cell Ophthalmology Treatment Study (SCOTS) for retinal and optic nerve diseases: a case report of improvement in relapsing auto-immune optic neuropathy. Neural Regeneration Research, 10(9): 1507-1515. 34. Weiss, J.N., Levy, S. & Benes, S.C. 2016. Stem Cell Ophthalmology Treatment Study (SCOTS): bone marrow-derived stem cells in the treatment of Leber's hereditary optic neuropathy. Neural Regeneration Research, 11(10): 1685-1694. 35. Whiting, P., Kerby, J., Coffey, P., da Cruz, L. & McKernan, R. 2015. Progressing a human embryonic stem-cell-based regenerative medicine therapy towards the clinic. Philosophical Transactions of the Royal Society of London. Series B, Biological Sciences, 370: 20140375. 36. Wong, W.L., Su, X., Li, X., Cheung, C.M., Klein, R., Cheng, C.Y. & Wong, T.Y. 2014. Global prevalence of age-related macular degeneration and disease burden projection for 2020 and 2040: a systematic review and meta-analysis. The Lancet. Global Health, 2(2): e106-e116. 37. Yu, J., Vodyanik, M.A., Smuga-Otto, K., Antosiewicz-Bourget, J., Frane, J.L., Tian, S., Nie, J., Jonsdottir, G.A., Ruotti, V., Stewart, R., Slukvin, I.I. & Thomson, J.A. 2007. Induced pluripotent stem cell lines derived from human somatic cells. Science. 318: 1917-1920. 38. Zarbin, M. 2016. Cell-Based Therapy for Degenerative Retinal Disease. Trends in Molecular Medicine, 22: 115-134.